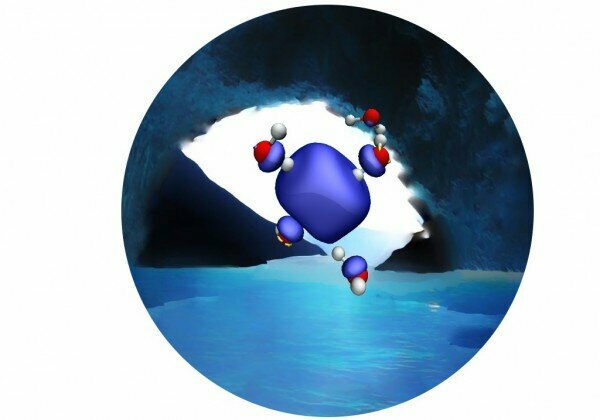 Extra electrons solvated in liquid water, known as hydrated electrons, were first reported 50 years ago. However, their structure is still not well understood. MARVEL researchers at the University of Zurich, ETH and the Swiss National Supercomputing Center CSCS have now taken a step toward solving the mystery. Their paper, "Dynamics of the Bulk Hydrated Electron from Many Body Wave Function Theory," has been published in Angewandte Chemie. Reliable modeling of the hydrated electron is at least as challenging as the experimental approach, and the limitations of computational approaches applied so far have led to considerable theoretical uncertainty. Researchers have not, for example, been able to agree on whether or not the hydrated electron occupies a cavity. Though most theoretical studies suggest that it does, non-cavity models have also proven accurate. Another point of discussion is linked to the distinguishable surface and bulk structures of the hydrated electron.